We know that Vudu puts all of your TV, movies and videos into one place. Therefore you could have a wonderful collection. Therefore, sometimes people may want to put iTunes movies to Vudu, but have no solutions for this since Apple has empowered its movies with FairPlay DRM protection. Well, in this guide, we would like to introduce you several effective solutions to help you put iTunes movies to Vudu. As an online video-on-demand streaming service owned by Walmart, VUDU provides access to movies and TV shows. It offers a large library of movies and TV titles that may be rented and streamed to media streaming devices, smart TVs and home-theater components that have the Vudu app. On the other hand, iTunes is a media player, media library, Internet radio broadcaster, and mobile device management application developed by Apple Inc. You could purchase/rent movies, TV shows, games and others on iTunes. 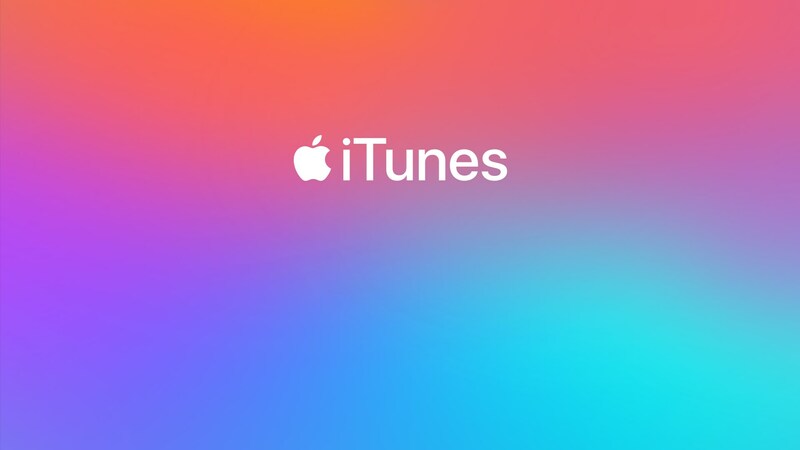 all the purchased or rent items from iTunes could be streamed to iOS devices. The below are some differences between iTunes and Vudu. Cost: Vudu is a paid service, but it does not require a monthly subscription fee. Instead, you pay for each of the movies or TV shows that you want to rent or own. Rental pricing ranges from $.99 to $5.99, and purchase prices generally range from $4.99 to $24.99. Of course, there are also specials from Vudu that would cost you less to enjoy the streaming. Apple charges up for HD versions: up to $4.99 per rental for movies, and anywhere from $14.99 to $19.99 for HD movie purchases (with occasional sales at $9.99). TV episodes work out at about $1.99 an episode for SD and $2.99 for HD, and full-season purchases are offered at a slight discount. Compatible devices: iTunes is applicable to PC and Mac computers that have iTunes app installed. Also, all movies and videos purchased or rent from iTunes could be streamed to iOS devices (iPhone, iPad and iPod). VUDU works on a lot more devices than iTunes. In addition to iOS-based devices mentioned above, it’s available on PC computers, gaming consoles like PS3 and Xbox 360 (only if you have a LIVE Gold membership), Internet-connected Blu-ray players and HDTVS. Titles: VUDU has more than 20,000 titles to choose from, with more and more being added all the time. iTunes has more than 75,000 digital downloads, with about 3,000 of those available in HD (and that’s including both movies and TV shows). VUDU also has TV show options available, but iTunes has the most current episode to date while VUDU has older seasons. Content: iTunes has a movie catalogue that features movies and stuff from the likes of many big studios, including 20th Century Fox, Warner Bros. Walt Disney Pictures, Paramount Pictures, Sony Pictures and Universal Studios. VUDU also has all the big movie deals given they release content as soon as it hits DVD. Quality: Both iTunes and Vudu offer HD quality movies and TV shows in 720p and 1080p. VUDU has some 3D titles (3D devices required) and offers Dolby Digital Plus 7.1 surround sound. Limitations: Movies rent or purchased from iTunes can’t be played on non-Apple players, while Vudu has no Android app for Android device users to watch movies via Vudu. So, can you transfer iTunes movies to Vudu for playback? Actually the answer depends. You can’t directly upload iTunes movies to Vudu since iTunes movies are all DRM protected. Apple has applied a DRM protection – FairPlay onto all its movies, TV shows and videos, which prevents the use of iTunes movie rentals and purchases being used in other ways like playing on non-Apple players and devices. But, you could try 3rd-party iTunes DRM removal tools to remove the DRM protection from iTunes movies and then convert iTunes DRM movies to DRM-free videos. Therefore you could watch iTunes movies on Vudu easily. The below content would show you 3 different iTunes DRM removal tools to help you put iTunes movies onto Vudu. They are TunesKit M4V video converter, Prof. DRM and Requiem respectively. 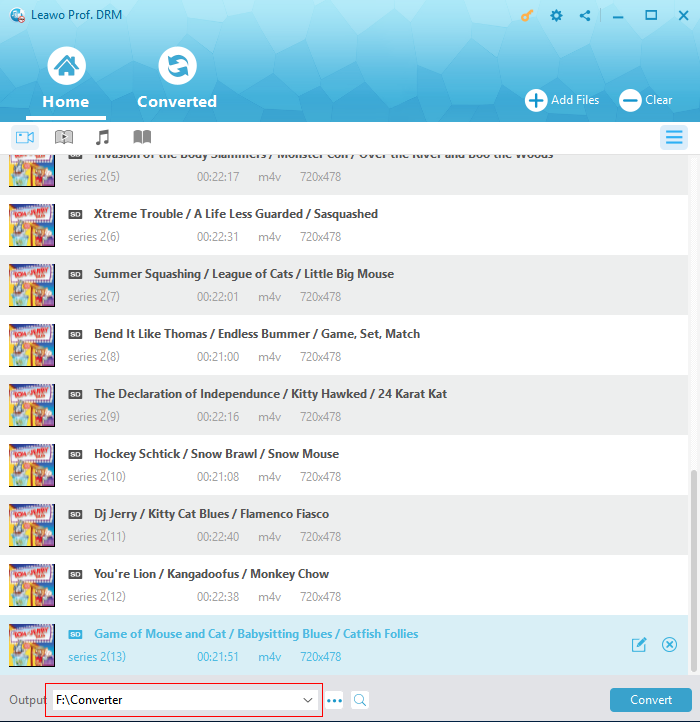 TunesKit is a very easy-to-use and powerful iTunes DRM media converter. It helps iTunes lovers easily bypass the Fairplay DRM protection from iTunes purchased and rented movies/TV shows, and converts iTunes encrypted M4V to MP4 format. The below steps would show you how to convert iTunes movies for Vudu with TunesKit M4V video converter. 1. Open iTunes and sign into your iTunes store with your Apple ID and password. 2. Download the movies you have purchased or rent from iTunes Store. 4. Click ‘Library’ to open up the iTunes Library from within TunesKit M4V Converter. 5. 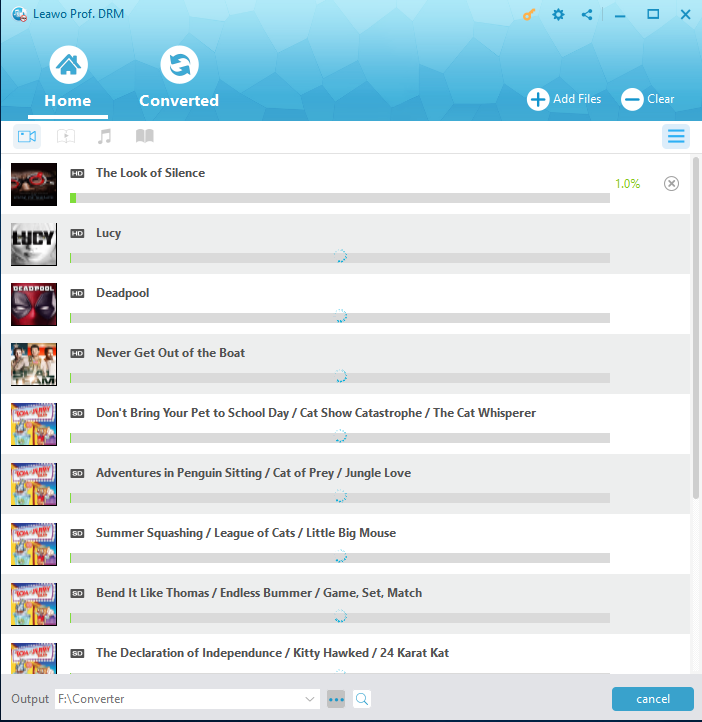 Select the movies you’ve just downloaded to add to TunesKit M4V video converter. 6. For each movie, deselect all audio tracks and subtitle tracks besides English/US (or whatever languages you prefer). 7. Click Convert, and wait for all the movies to be converted. 8. Once those movies are converted, quit TunesKit, open iTunes, and choose ‘Remove Download’ for the batch of movies you just converted. 9. Repeat steps 2-9 for all your movies and TV shows until complete. TunesKit M4V Video Converter would help you easily convert iTunes movies to DRM-free MP4 files. Leawo Prof. DRM is another wonderful tool we would like to recommend to you to convert iTunes DRM movies to DRM-free MP4 files easily. It is a professional iTunes DRM removal and converter. All your purchased or rent movies from iTunes Store would be converted to DRM-free MP4 files in clicks. Download and install Leawo Prof. DRM on your computer. then follow the below steps to learn how to convert iTunes movies for Vudu with this iTunes DRM video converter. Launch Leawo Prof. DRM. It will automatically launch your iTunes. You simply click “Add Files” button on the sub-menu bar, and then open “Library > Video” tab to select the movies you have downloaded into your iTunes library for adding to Leawo Prof. DRM for converting. After selecting iTunes movies to convert within Leawo Prof. DRM, select an M4V video and click “Edit” icon to choose audio tracks and subtitles freely for keeping in the output video file. Then, on the main interface, click the bottom “Output” box to set output directory. Click the blue “Convert” button at the bottom right corner to start to remove iTunes DRM protection and convert iTunes DRM M4V videos to DRM-free MP4 files. As the conversion is completed, now you can find the converted DRM-free iTunes video file under “Converted” section. 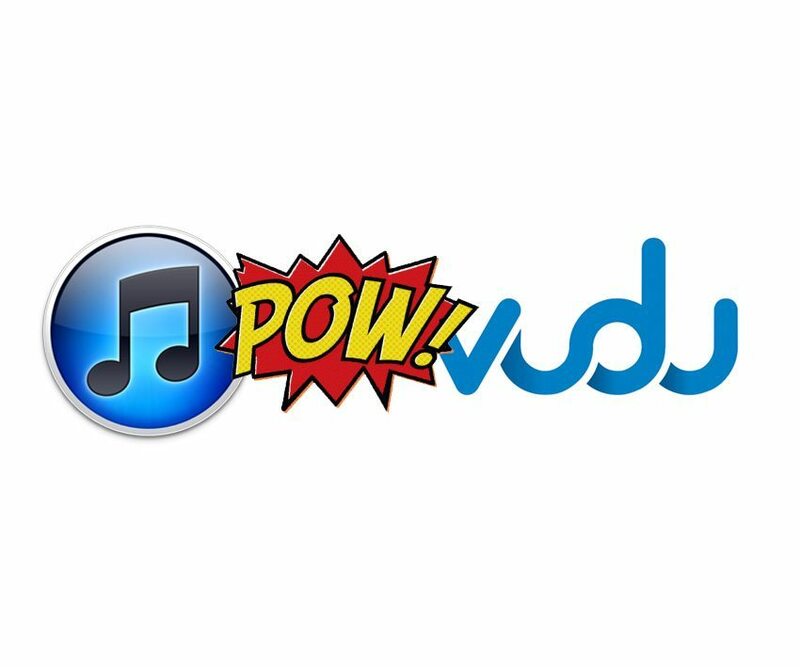 When the conversion finishes, you could now freely upload converted iTunes movies to Vudu. Actually, Leawo Prof. DRM works far more than a single iTunes DRM video converter. It’s also an iTunes DRM music converter to convert DRM iTunes music to DRM-free MP3 files, and iTunes audiobook converter to convert DRM iTunes/Audible audiobooks to DRM-free MP3 files, an eBook converter that could remove DRM protection from eBooks, and convert Kindle eBooks, Kobo eBooks and Adobe Digital Edition eBooks to DRM-free eBooks files in TXT, ePub, Mobi or AZW3 format. Moreover, Leawo Prof. DRM is a Spotify music downloader tool that enables you to download Spotify music for offline listening without any limitation. You could do far more than simple iTunes DRM video conversion with Prof. DRM. If you are looking for a free iTunes DRM removal tool, you could turn to Requiem. Requiem is an open source, free DRM-removing software tool developed in Java. Even if it hasn’t been updated for several years, it’s still capable of removing Fairplay DRM from Tunes with iTunes 10.7 or earlier versions. Follow the below steps to learn how to remove DRM from iTunes M4V movies for Vudu with Requiem. 1. Make sure your iTunes version is 10.7. if not, uninstall your iTunes and install the 10.7 edition on your computer. 2. Since Requiem requires Java Runtime environment, you need to download Java Runtime environment and set it up on your PC. 3. Download and install Requiem on your computer. 4. Open Requiem and wait for the initial configuration to be over. Requiem will automatically scan your iTunes account for any DRM protected files. After it locates the files, it will automatically begin to remove the DRM protection from iTunes movies. 5. When it’s done, you should get a message saying “Successfully Removed DRM”. Requiem will delete all original iTunes movies with DRM protection, and replace these original DRM protected iTunes movies with DRM-free versions. 6. Now, you only need to navigate to the movie folder of your iTunes to get the DRM-free movies and upload to Vudu as you like. It should be noted that Requiem only removes the DRM protection from your iTunes M4V videos. These iTunes would still be in M4V file format. 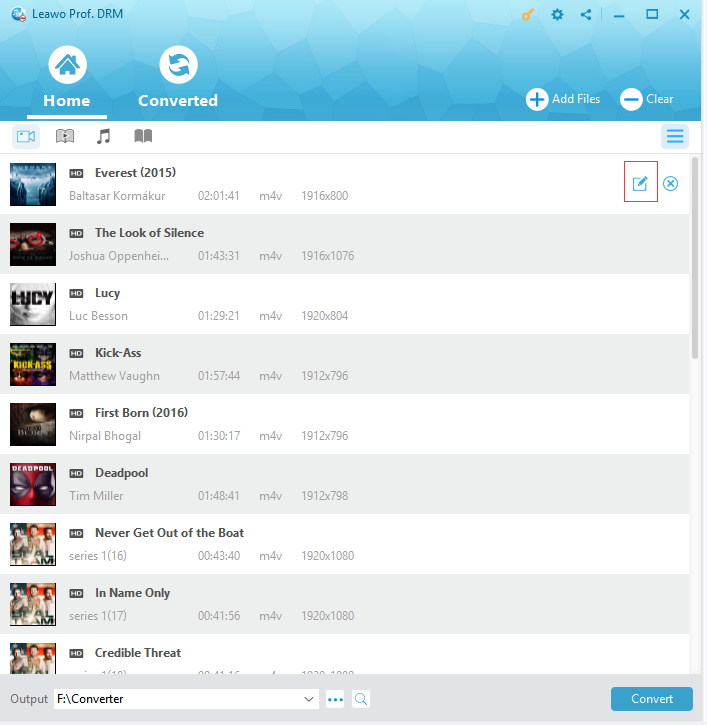 You need to use some video converter tool like Leawo Video Converter or Handbrake to convert the DRM-free iTunes M4V video to MP4 or other video formats for Vudu or other devices. All the above 3 methods help you remove iTunes DRM protection and help you play iTunes movies on Vudu. The below table would show you their differences in detail.